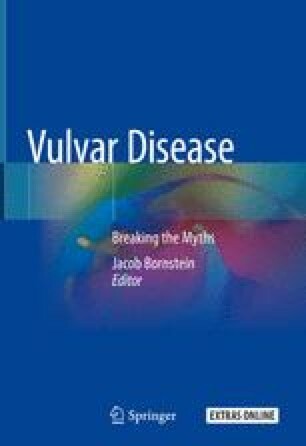 No standard screening programs are manageable to detect vulvar carcinoma or its precursor lesions, and therefore gynecologists, dermatologists, and other healthcare providers in the field of vulvar disorders should be aware of the clinical features, behavior, and management of the premalignant vulvar lesions, squamous vulvar intraepithelial neoplasia (VIN). During the years, studies on vulvar cancer demonstrated there are two types of disease: one HPV related and one occurring in the absence of HPV, but usually related to dermatoses such as lichen sclerosus or lichen planus. In 2015, a new classification for squamous VIN was introduced by the International Society for the Study of Vulvar Disease (ISSVD), following the LAST (Lower Anogenital Squamous Terminology) project. This review describes the relevant aspects of squamous VIN, its epidemiological characteristics, diagnosis, management, new treatment options, and malignant potential.